The Senator John Heinz History Center, an affiliate of the Smithsonian Institution, is the largest history museum in the Commonwealth of Pennsylvania. Named after the late U.S. Senator H. John Heinz III (1938–1991), it is located in the Strip District of Pittsburgh, Pennsylvania, United States. 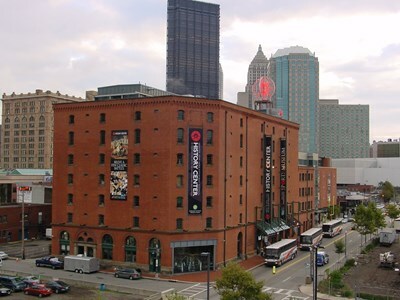 The Heinz History Center is a 275,000-square-foot (25,500 m) $36 million http://nl. newsbank. This description uses material from the Wikipedia article on Heinz History Center and is licensed under the Creative Commons Attribution-ShareAlike License (view authors).